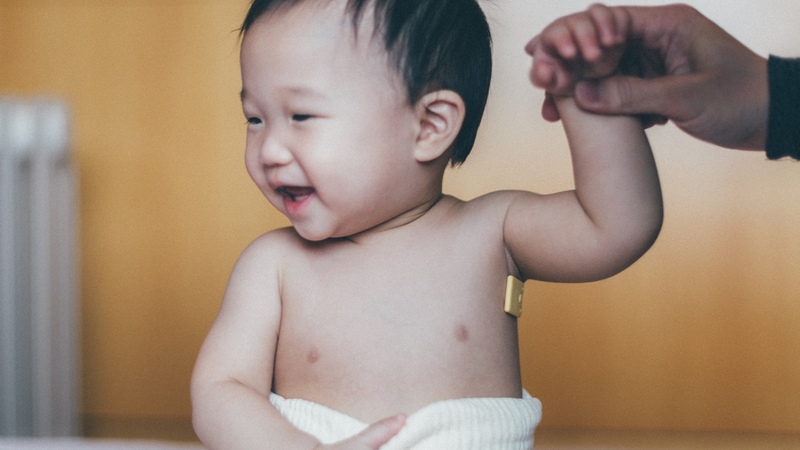 Meet the latest wearable thermometer that aims to give parents peace of mind, enabling them to keep track of the temperature of babies and young children in the accompanying app. Temp Pal takes the form of a connected band aid the size of a quarter (that's 10p to UK folk), which has a battery life of 24 hours once fully charged. The thermometer is stuck on the body and uses medical grade sensor technology that's accurate to +/-­ 0.09F. It's not only designed for young children but also for couples looking to conceive, as Temp Pal can keep an eye on basal temperature, which is a key metric of fertility. Temp Pal connects wirelessly to a smartphone app, which tracks temperature over time and can also alert parents if there's a sudden change in the patient's condition. It also comes with medication reminders too, which is always helpful when caring for a sick child. "Our goal is to create smarter, more comfortable, and more convenient healthcare solutions for everyone, using the most accessible technologies and affordable prices." said Glen Tseng, creator of Temp Pal and CEO of iWEECARE. There have been similar form factors, like the TempTraq wearable thermometer and the now defunct AmpStrip – a connected band aid that kept tabs on athletes' heart rates. Similarly, that's now being redeveloped as a medical tool, rather than a consumer product. Temp Pal is launching on Indiegogo today and is looking for $50,000. It costs $59.99 and is expected to launch in August.